Steve Overland and FM are well known in the melodic rock world. 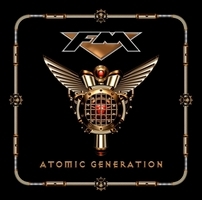 Now they are back with Atomic Generation, their 11th album. Jen Davis' keyboard leads into Follow Your Heart, a real ear catcher! The opening passage of Stronger is very Purple-ish and with heavy riffs they rock this one, even if the vocals once again give it a dash of Foreigner. In a way it shows their spectrum from heavy rock to AOR - ennobled by Jim Kirkpatrick's guitar. The closer is a ballad, Love Is The Law. Very reduced and focused on the vocals. The album won't surprise you, it's quite typical stuff, but well done and fun to listen. What more can you ask for? British rockers FM are back with Metropolis! The band who started in the mid-80's broke up while grunge was big and while spending time with one or the other project they frequently were asked about a reunion. In October 2007 they played Firefest and even if they had to face a line-up change - guitarist Andy Barnetts left, Jim Kirkpatrick joined FM - and now they show that FM still know how to rock! With a heavy, stomping rocker called Wildside they kick off. A catchy refrain make it easy to get into Metropolis. With Hollow they go stadium rock, some parts have a dash of Bon Jovi in it... But Steve Overland's vocals give FM their identity and so it's just a reminiscence and not a citation. Unbreakable has a melancholy touch and is simply enchanting. A real highlight due to the expressive vocals and great guitar play. Metropolis, the instrumental title track has a bluesy touch and would have made a good sound track tune... With Over You they are back with catchy harmony vocals, the riff-based rocker is a typical FM tune! Another one is Bring Back Yesterday which shows that FM are back! I Ain't The One is a another rocker with a catchy hook and a cool guitar solo. You'll soon sing along! Good time rock! The bluesy The Extra Mile is just beautiful! The song sounds a bit like the Eagles, but also remind me of balladesque Damn Yankees... The closer is Still The Fight Goes On is a mid-paced melodic rock tune with a bluesy touch, a good one, but not as strong as some other tracks on Metropolis. FM's reunion took time and Metropolis shows that it was worth waiting! 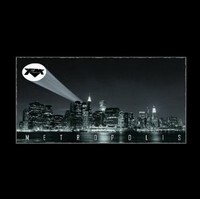 FM fans, fans of Steve Overland and melodic rock / AOR in general should check out Metropolis! Kudos!